I wanted to keep tabs on my blood sugar. I do well if my glucose meter is on a counter and always in sight, but if it’s packed in a bag, I’m not always as conscientious as I should be about monitoring. I decided to use my phone’s alarm to remind me to test. We both wanted to avoid gaining weight. Vacation is such an easy time to pack on pounds. We decided we wouldn’t try to actively lose weight while we were gone, but we didn’t want to backslide. I wasn’t 100% successful with goal #1, but I was much more consistent than I usually am while traveling. When you’re hiking a volcano and your “test now” alarm goes off, it isn’t always convenient! Regarding goal #2, I’m happy to report that I didn’t gain an ounce. Neither did the CompostMaster. That was quite an achievement. 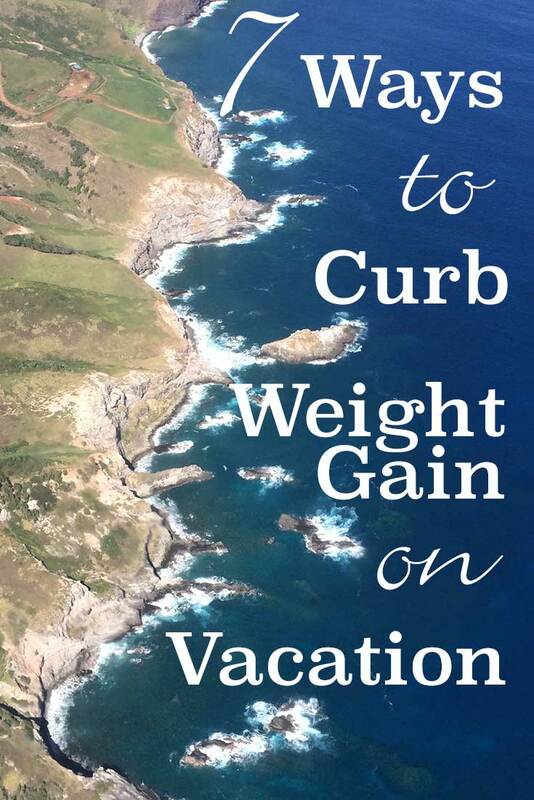 How did we spend more than two weeks in paradise without gaining weight? We only ate two meals a day. We generally had a big breakfast and an early dinner. If we got hungry in the afternoon, we had a snack – usually a mixture of nuts, pumpkin seeds, and dried fruit or a snack bar. We only ate three meals in a day when we did something physically demanding or got up insanely early. 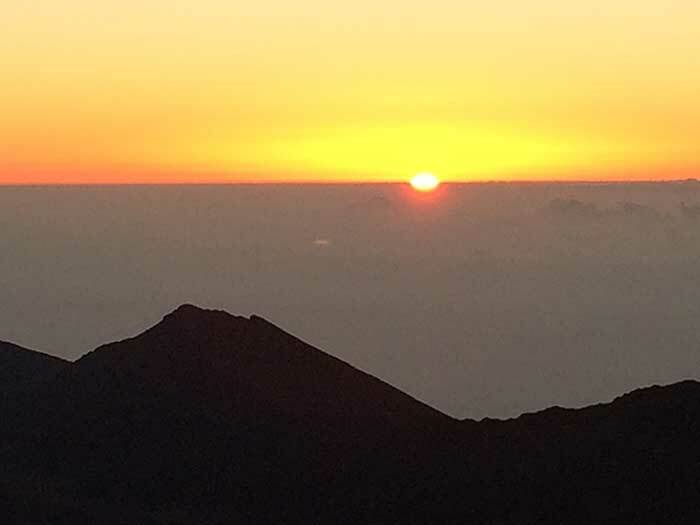 For example, to make sunrise at Haleakala National Park, we had to get out of bed at 3:30 am! Two meals isn’t enough when you’re awake for more than 20 hours. We shared food. For dinner, we often ordered one appetizer and one entrée and split both. If we got two entrées, we took leftovers back to our room. We’ve learned that when we dine out a lot, portion control is key. I no longer feel like I have to “clean my plate” in a restaurant. We walked a lot. We picked lodging that was within walking distance of restaurants, shops, and gorgeous views. We also took lots of hikes. I packed exercise clothes for the hotel’s fitness center, but we were so active I never used them. We always had access to a refrigerator and microwave. We stayed in hotels, bed & breakfasts, and one condo we found via Airbnb. All of our accommodations had a refrigerator and microwave at a minimum and the condo had a full kitchen. Having the ability to store snacks like cheese, fruit, and yogurt and to reheat leftovers saved us both calories and money. We ate a lot of fish. I’m not a huge fish fan, although there are some varieties I enjoy. If I lived in Hawaii, I’d eat a lot more fish! It’s just off the docks and most restaurants cook it perfectly. (We won’t mention the fancy, expensive place that served us overcooked fish that definitely wasn’t fresh!) The three types of fish we ate most were Ahi (yellowfin tuna), Ono (Wahoo), and Mahi-Mahi. We also tried Opakapaka (deepwater snapper) and Opah (moonfish). We were mindful of what we ate. When we splurged (and we did splurge), we did it in a smart way. 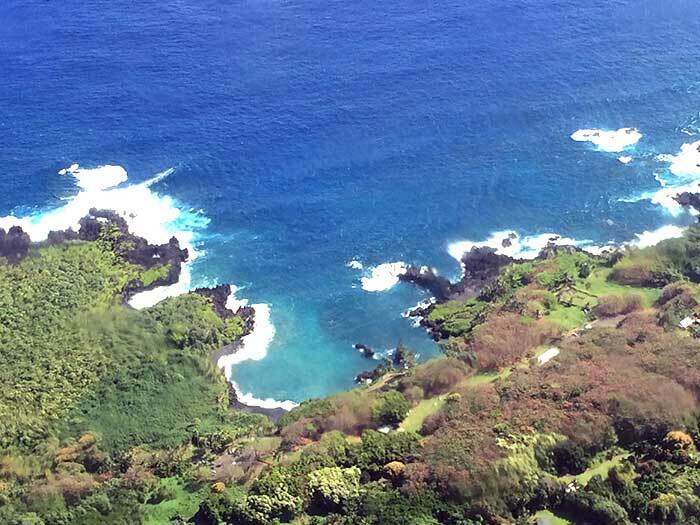 For example, we ended up at the Maui Sandwich Shack for lunch one day. They share space with a gelato company. When I heard about their special chocolate gelato with chile peppers and cinnamon, I just had to try it. I made sure to order a low-carb salad for lunch, so I would feel less guilty about indulging. I’m glad I tried the gelato (best flavor EVER), but I’m happy I don’t live on Maui. It would be too tempting. We limited alcohol. I don’t drink often, but I allow myself a cocktail on special occasions. The tropical, boozy concoctions in Hawaii are hard to resist, but I managed. I had a couple of drinks during the trip – we did watch the Super Bowl in a bar, after all. The CompostMaster frequently enjoys a glass of wine (or two) with dinner, but he cut way back during our vacation. Water was our beverage of choice most of the time. It is possible to avoid gaining weight on vacation even if you splurge on some of the local specialities. Be aware of what you’re eating, don’t eat too much, and get plenty of exercise.